Last school year in first grade, we made Frosty’s Lunchbox, and I knew the project could be extended to other characters and ideas. 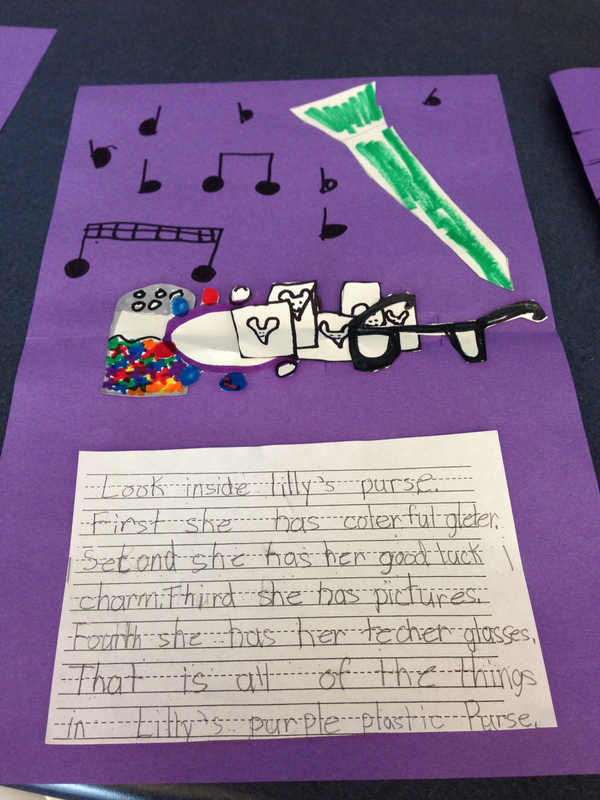 When planning for my summer school class, Write Like a Famous Author, I knew I wanted to do something with Lilly’s Purple Plastic Purse during our Kevin Henkes’ week. 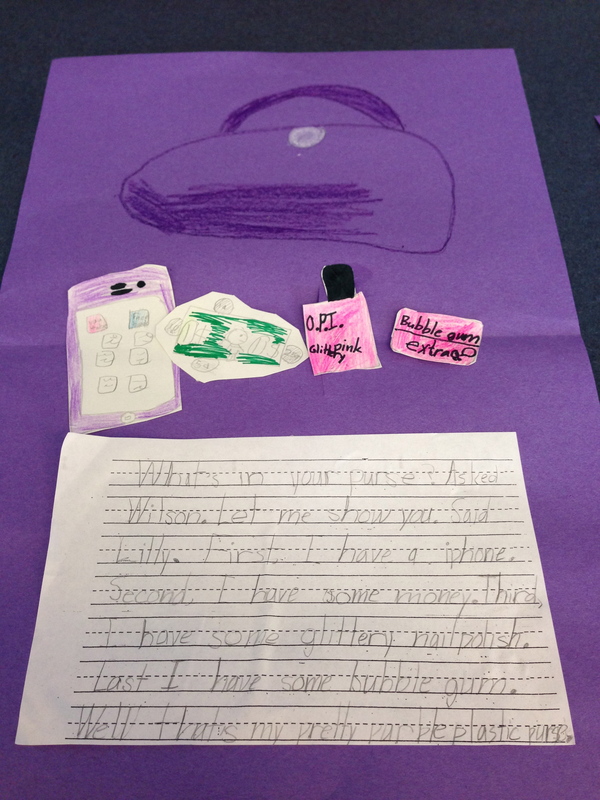 I decided to have the students make and write about what’s inside Lilly’s purse; I also gave the students the option to crete what’s in Owen (or another character’s) toolbox or bag. 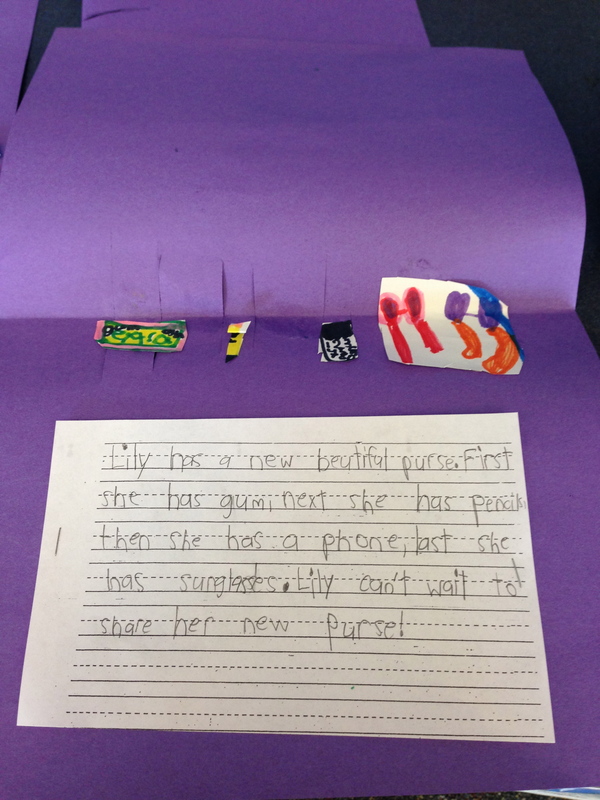 After reading aloud the story, we brainstormed what items could be in Lilly’s purse. The students came up with a great list (they did such a great job cleaning up that they erased the board before I could take a picture!) The students were excited about the project, but didn’t know where to start. 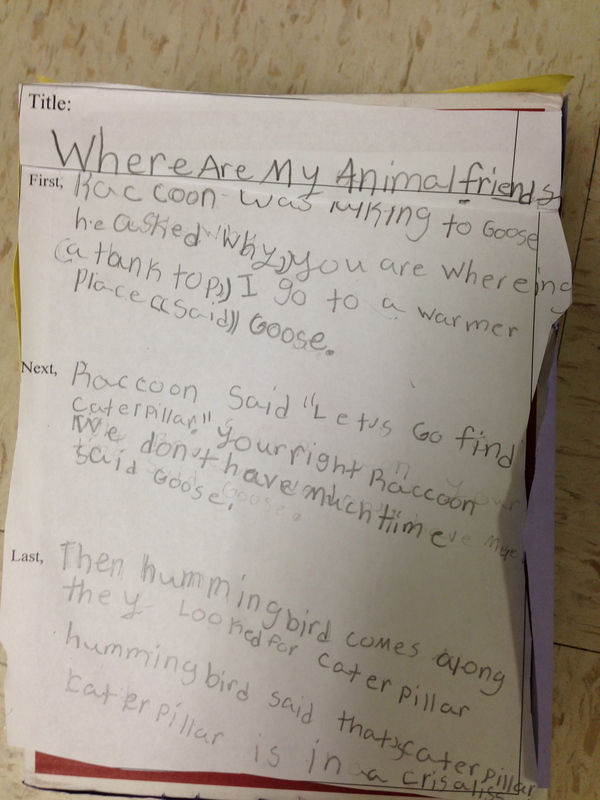 I modeled an example and we brainstormed possible topic sentences. Then students got started and were very creative. 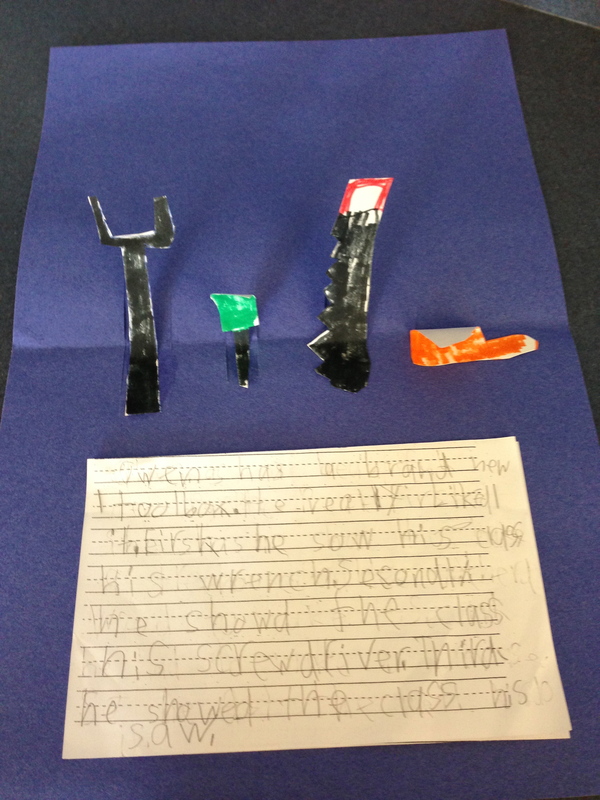 They worked at their own pace with writing and drawing pictures. I helped them with cutting the purse and figuring out where to glue the pictures so they popped up. It took them 1.5 class periods to complete (each class is 90 minutes) but it was worth it since they were engaged and worked hard. I was pleased with the project turned out and am excited for more creations this summer! 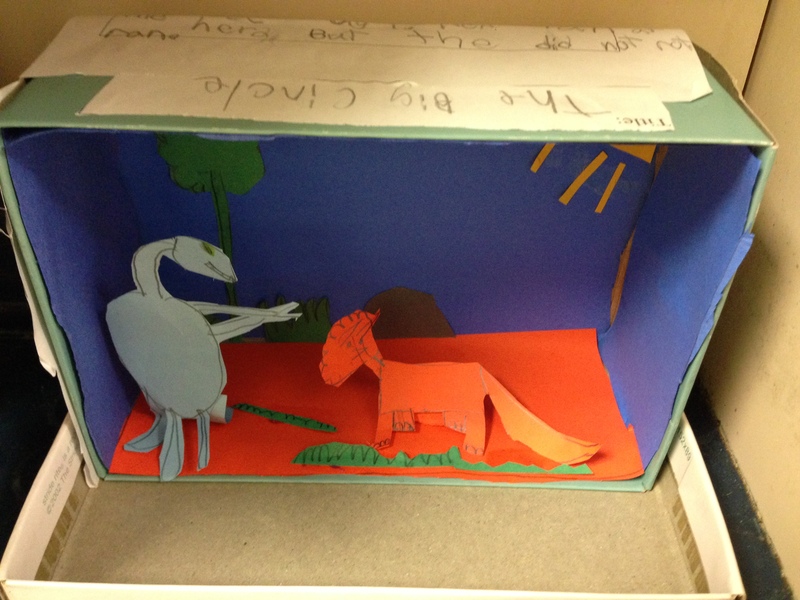 As a fun concluding reading activity, we had the students create a diorama of one of our reading stories. 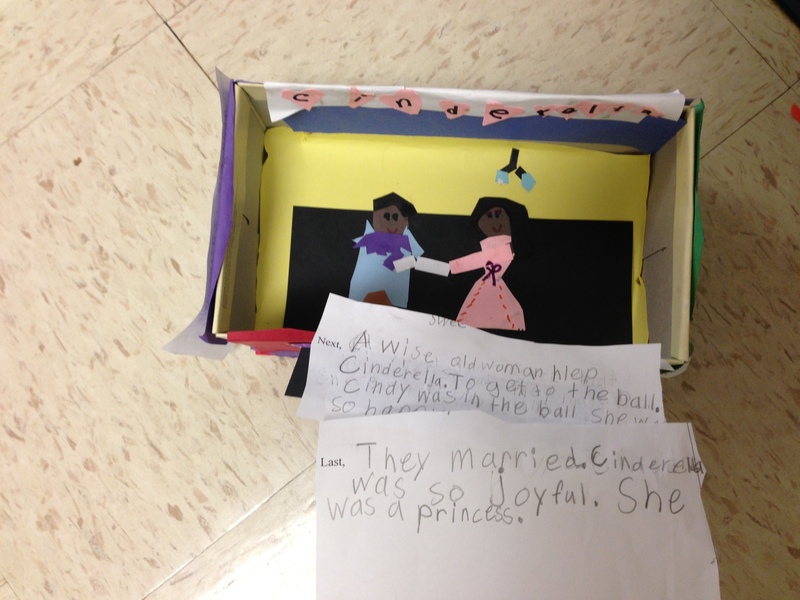 They picked their favorite story from the year and chose one scene to recreate. I also created a simple rubric and a place for them to write the title, genre, and sequence of events of the story. 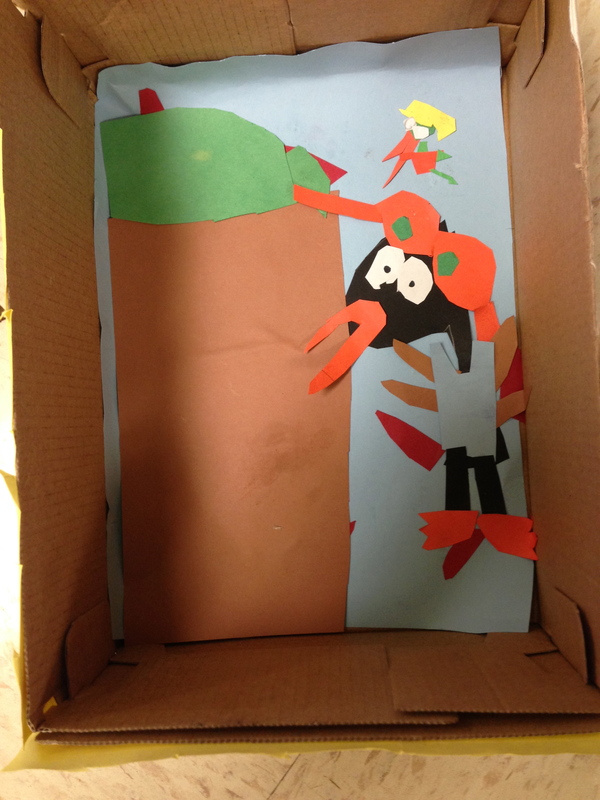 Students enjoyed being creative and designing the characters and setting. 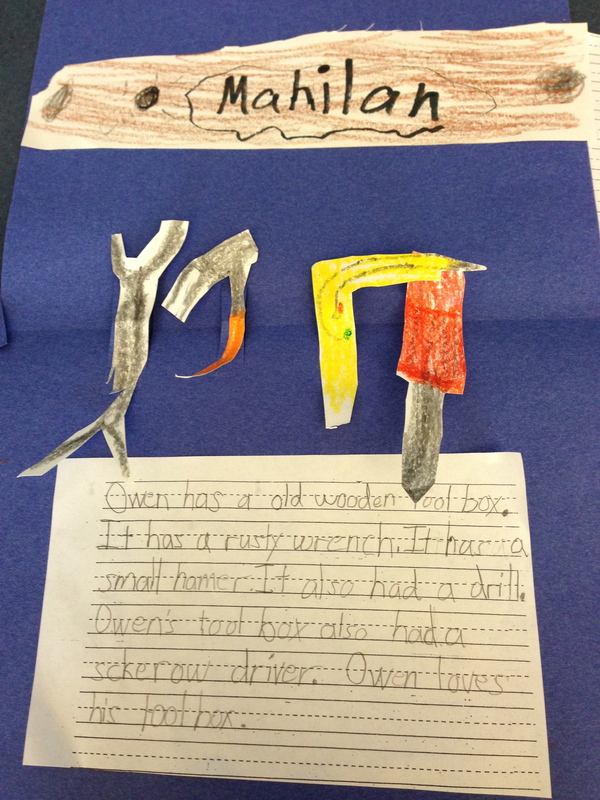 They needed to use a lot of details, which helped some of them take their time and show their artistic side. This project was challenging for those students who are not as strong in creativity, but it was a good experience to expose them to thinking outside the box. 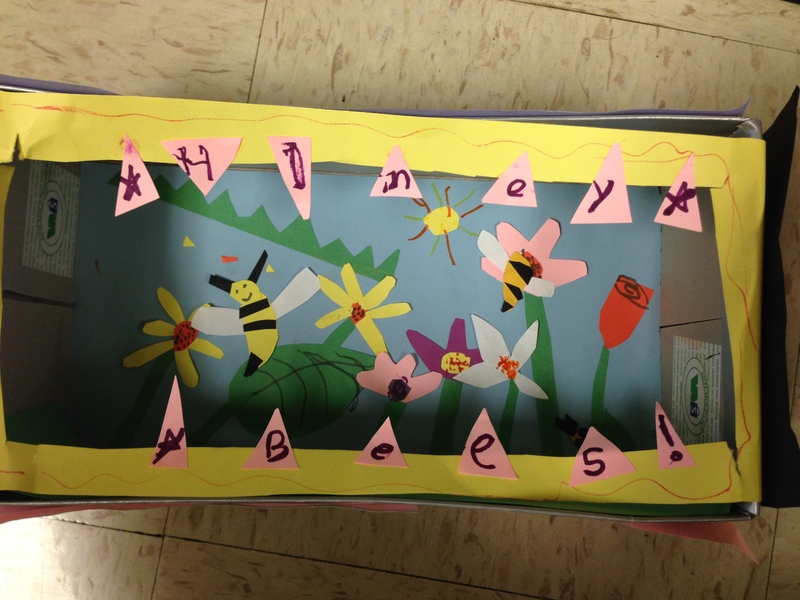 This was a multi-day project, but the students really enjoyed it. 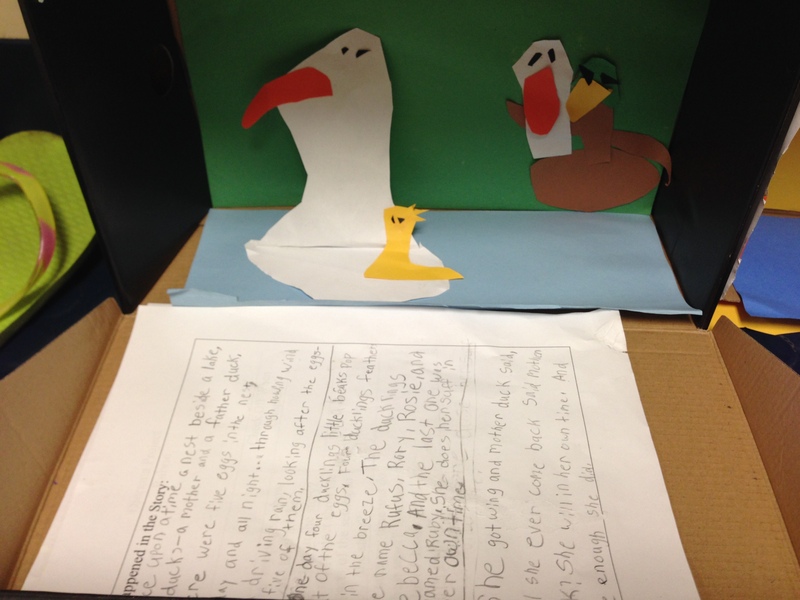 It took a lot of work to create the diorama and write about it! This was a good, culminating activity for the students to demonstrate what they’ve learned throughout the year about all the literary elements. 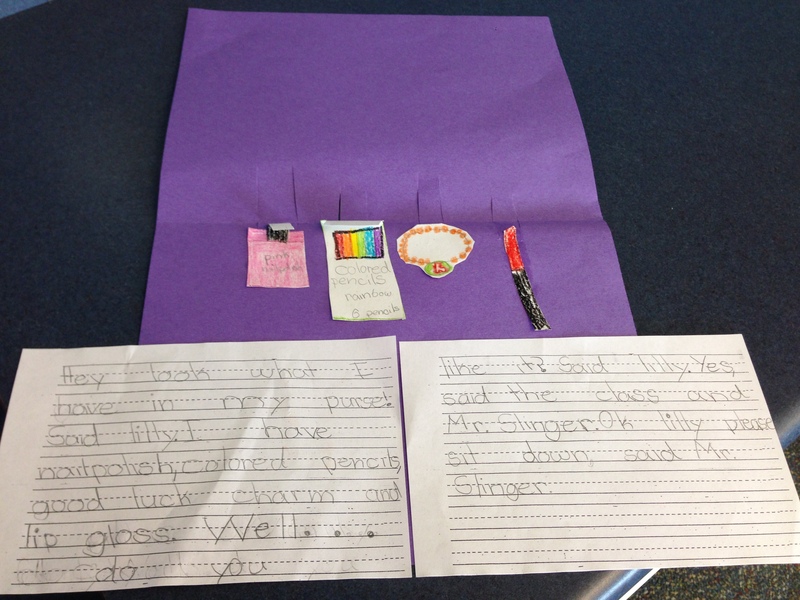 A lot of choice was involved in picking the story and deciding how to best represent it. 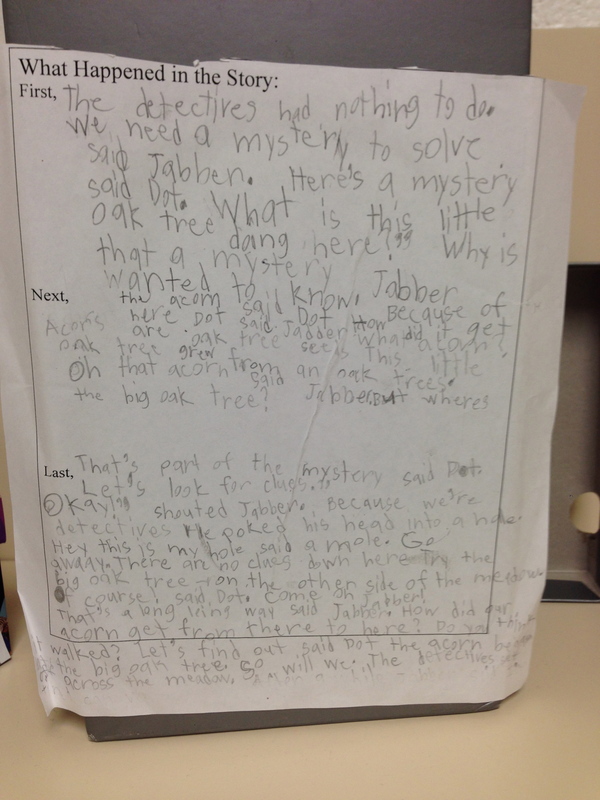 The sequence writing was also a good way for students to use a lot of details to describe what happened in the Beginning, Middle, and End of their story. After the dioramas were done, students did a gallery walk around both classrooms to share and see others’ work. 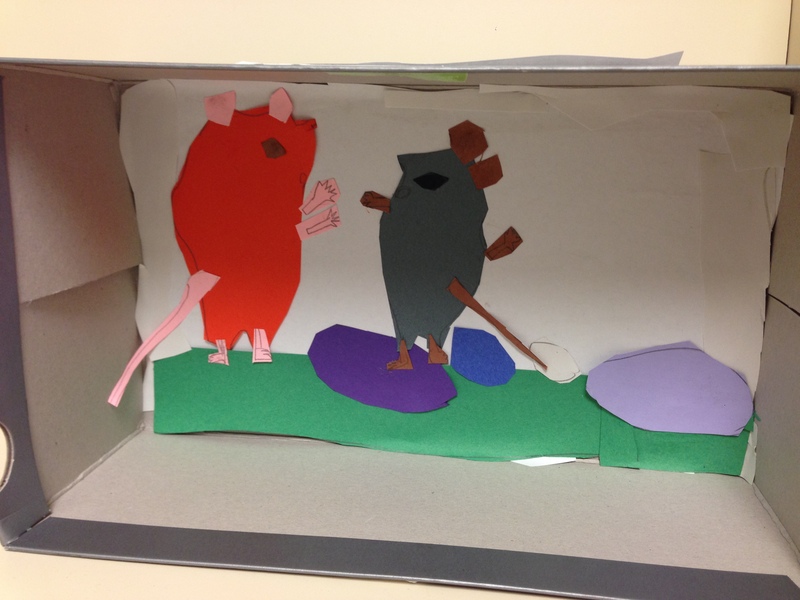 I was very impressed with their creations and would love to have students build dioramas again! With 15 days of school left, we got a new student in our class. Not only is it hard moving to a new school so close to the end of the school year, but she also came from Mexico and does not speak English! 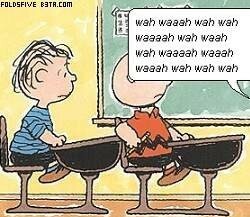 It’s like being in a Peanuts classroom all day long-all you hear is “wah wah wah wah!” Luckily we have a couple ELL students who speak fluent Spanish, and one girl quickly became her buddy. The first day she walked into the classroom, she was shaking with nerves. All the students were great-very welcoming and friendly. They greeted her with Hola! The really wanted to include her and be her friend. We told them to give her some time to adjust and not overwhelm her; the best thing they could do was to show her with their actions what to be doing in the classroom. And on the playground, they could definitely all play together! It has been fun watching her relax and begin to participate. She can complete some assignments by copying and practicing English words. She is able to do basic math. We found a couple Spanish-English apps on the iPad, and she can listen to Spanish books on TumbleBooks. While she isn’t talking verbally in the classroom (she has spoken to a friend and small group with the ELL teacher), she does smile and want to be included. This goes to show when you have a strong classroom community, the children are very supportive of each other and their differences. And that is extremely rewarding to watch.